Israel is calling up 16,000 extra reservists to bolster its military as the conflict in Gaza continues. The move brings the total number of reserves called up by Israel to 86,000. Officials say it will give the army scope to maintain operations. Separately, Israel has pledged to investigate a strike on a UN-run school that killed at least 16 people. 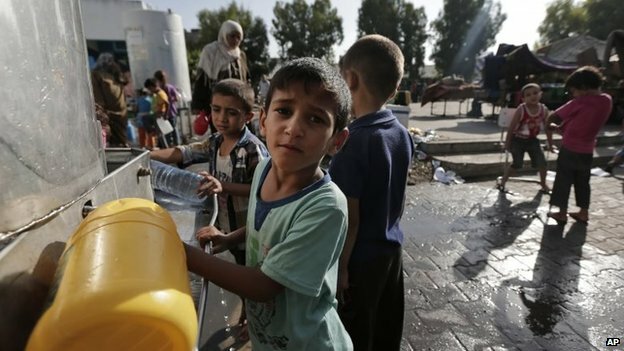 The UN says it is sheltering 225,178 Palestinians in 86 shelters across Gaza, with 200,000 more displaced. Most of those others have left their homes and are staying with friends or family. The total number displaced amounts to 25% of all of Gaza's 1.7 million inhabitants. Israel began Operation Protective Edge on 8 July. Since then at least 1,360 Palestinians have been killed. Most have been civilians.